Park City put the skids on vehicle idling when it passed the state’s first anti-idling ordinance on Dec. 16. Utah is one of the worst dirty-air states in the nation, with half the pollution coming from vehicles spewing exhaust. With some exceptions, Park City will be levying $100 fines to drivers who idle for more than three minutes. 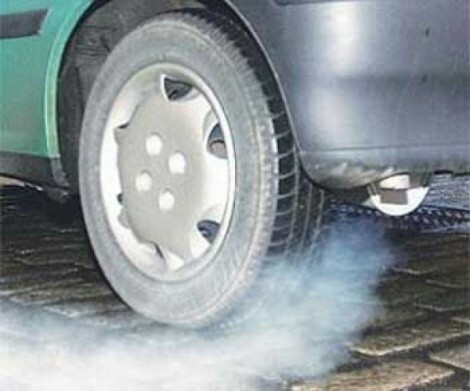 The city notes that the Department of Energy “estimates that unnecessary vehicle idling in the U.S. burns up to 2 billion gallons of fuel per year,” so it’s not just a health issue—it’s financial, too. Remember Logan Darrow Clements? He’s the guy who, in 2005, made a national statement against the U.S. Supreme Court’s justification of eminent domain (the public taking of property) for “higher purposes.” Clements sought to build the Lost Liberty Hotel on the site of Justice David Souter’s private home. Ha ha. Meanwhile, Clements, a businessman with a wry sense of humor, has been looking for investors in a television venture to document how the government abuses its power. Failing the big-picture plan, he has just released a movie—for sale online for $20—called Sick and Sicker, the story of how “ObamaCare” will hurt Americans. This is purported to be an answer to Michael Moore’s Sicko. You can pay money to screen it in your community, too. How’s it going? Well, you’re supposed to drive with your license plate upside down until health-care reform is repealed. Maybe the police department has a good count of the number of Clements’ followers because it’s not looking hopeful from the street. Utahns are used to court rulings that uphold conservative, anti-democratic ideals, so it was no big surprise that a judge recently said it’s OK for a governor-appointed committee to decide the candidates for state school board—incumbents and popular candidates be damned. But the real disappointment is over the committee’s disdain for the public’s right to know—or for the public, period. The judge ruled that the committee had “clearly violated” the state Open and Public Meeting Act by using a secret ballot and failing to give public notice of its meeting. Oh, well. The judge ruled that the violations were just itty-bitty ones, so never mind. And if he’d voided the nominations, well, then there would be “grave damage to the public’s interest in voting on the membership of the [State Board of Education].” That damage probably was done when the governor first set up this committee.